Best Lawyers in America, 2007 - Medical Malpractice Lawyer Massachusetts - Andrew C. Meyer, Jr.
BOSTON, MA — Andrew C. Meyer, Jr. has been selected to The Best Lawyers in America, 2007 for Medical Malpractice Law - Massachusetts, and Personal Injury Litigation - Massachusetts. 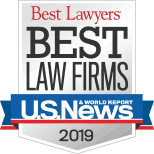 The "Best Lawyers" represents 30 specialties in all 50 states and Washington, DC, and is compiled through a peer-review survey of the top lawyers in the United States. Attorney Meyer, founding partner of Lubin & Meyer, PC, is recognized as a leader in medical malpractice and other personal injury cases. He is among a distinguished group of attorneys listed in "Best Lawyers in America" for more than ten years.